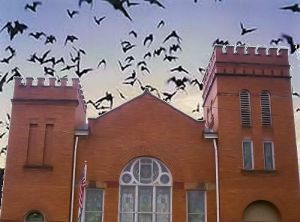 Life, Mental Health, Spirituality, Humor … setting bats free, one at a time! The Leaning Soul of … Us! In one of my earlier entries I posted a picture of this tower, and mentioned that it is actually a freestanding (freeleaning?) bell tower, or ‘campanile’, adjacent to the Cathedral, or Duomo, of Pisa. It was built primarily in the 12th and 13th centuries, but further adornments and other work was added over the following two centuries as well. The tower actually began leaning shortly after the work began, in 1173 A.D., as the weight of the marble and stone structure was much too heavy for the sandy ground on which the tower was built. Fortunately, the work was interrupted soon thereafter, as the Republic of Pisa became frequently engaged in war with surrounding city-states in the late 12th and most of the 13th centuries. Thus, no work was done on the unfinished tower for nearly 100 years, which allowed the soil undergirding the tower to fully settle and firm. Once wars ended and the ground seemed more stable, the builders decided to carry on to completion, relying on God to keep the tower from toppling. So far, stand it has! Actually, two past efforts to stabilize the tower have been successful. The last effort, made by digging down under the lower edge of the tower and pouring concrete down underneath to stabilize, and then using expansive lifts to straighten the tower, decreased the tilt from 5.5 degrees to 3.99 degrees. 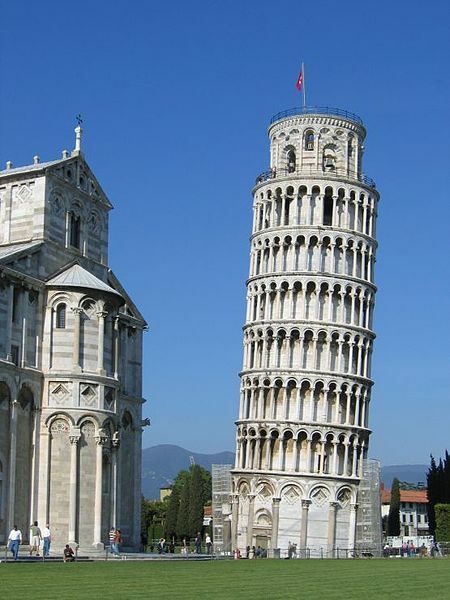 In fact, the engineers believe they could have fully straightened the tower to 0.0 degrees tilt, but it was felt that this would severely cripple tourism, which would greatly impact the economy of Pisa and the Tuscany region of Italy. I would agree. Unless you’re like me and have an unnatural love of bell towers, would you go out of your way to visit the Non-Leaning Tower of Pisa? We (I?) concluded during our last rendezvous that a belfry, while being primarily distinguished from other similar architectural structures by the necessary inclusion of a bell, really cannot be reduced to the bell(s) alone. 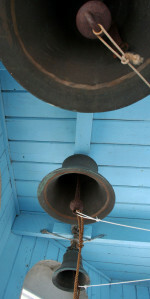 The essence of a bell tower consists of the entire structure, including the bell. 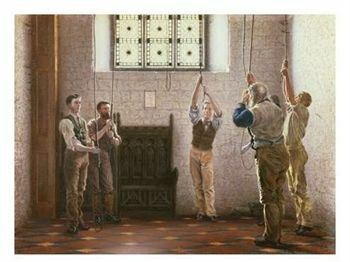 Thus, the walls, the floor, the roof, the windows, the rafters, the bell, the ropes and pulleys attached to the bell, and some crazy bats are all necessary parts of a belfry. Is a human being similar, or different? Lewis’ assertion is that a human is actually, in essence, a soul. That “soul” is then intrinsically linked to and possesses the body that we associate with that particular human being. By extension, then, anything else that makes up that human being would therefore also be a possession of that same, central soul. This would include the brain, which allows us to “sense” or perceive the world around us, to think, to remember things, and to feel emotions. Now, what do you think about this line of thinking? Is this so? Ought we to think of ourselves as primarily a “soul”, whatever that is, walking around “clothed” in a fleshly body, and possessing a brain capable of consciousness, rational thought, and emotions? And if so, and if we think in this way, would this change the way we live? My answer to these questions is … “Probably”. I think most of us would allow that, if soul exists, then it is something that: is not physically visible or “touchable”; is not infinite (that is, that I have a soul “assigned” to “me” and to me alone. In other words, we don’t all share the same infinite, spiritual soul); and is something that lies underneath all the physical and mental “stuff” in our own consciousness which we are most aware of most of the time. It has to be something that is at our “core”. So, a soul would thus be an invisible, intangible, spirit-world entity. It would travel around “inside” one’s body, but would not be something you could find in a surgery or autopsy inside that body. But, there must be more to it than this, I would submit. – can connect with others, beginning with their Creator, at a level deeper than conscious awareness or language. The soul connects (or not, if it so chooses) in ways other than words or language of any sort, in ways other than physical touching, or even than “emotional” touching. I don’t believe that, even though your brain may be highly limited in intellectual capacity, or in its ability to speak or to understand speech, your soul must also therefore be “limited”. In fact, I believe, if souls do in fact exist, and I believe they do, that THEY are the things in humans that are “created equal”, NOT our bodies or brains. Does that make sense? Do souls “think”? I don’t know, but I don’t think so. I also don’t believe the soul “feels”, either. I believe they simply “know”. They are “aware of” things, and others. Mostly others. (Because, in the end, even though we are meant to be good stewards of the natural world we live in, including plants and animals, life is mostly about God and Us.) I believe souls operate within one primary sphere, along one primary axis: to yearn for, and lean toward, stronger and deeper connection with God and/or other souls, or to lean or push away from those connections and thus to pursue isolation and “self-satisfaction” alone. To me, this is the “root” of the soul – connecting with other soul beings, or avoiding that connection. The connection doesn’t have to be verbalized, such as getting to know someone better by conversing over a cup of coffee; nor does it have to be physical in any way. But, as Nicholas Sparks noted in his quote above, our souls nevertheless can and do connect with one another. And when they do, and it’s a good connection, it can be very strong, and have a great effect on the quality of our lives. Because the soul is not infinite, though, being physically apart, or being unable to communicate with someone with whom we share a connection, can hurt. The soul, then, is the very deep part of us that, moment by moment, decides either to lean toward a humble yielding to our Creator, toward joyful connection with that One, or lean away from that kind of connection, and thus rely on itself as it goes through life. The soul therefore “leans”, much like certain bell towers! Hearkening back to the biblical account of “The Fall”, in the Garden of Eden: The soul was the part of Adam and of Eve which chose, at the time of the Serpent’s deceitful sales pitch, to pursue its own goals on its own terms, to “be God” within those two lives at the moment of choosing to eat the fruit from the Tree of Knowledge of Good and Evil. It’s my view that the information coming into Eve’s brain/mind from the serpent, that she would NOT die if she ate the fruit, but would rather become like God, wise and knowing many things, and then from her eyes, seeing how tasty and beautiful the fruit looked, all filtered its way into her soul, which then decided to “lean away” from God and the boundaries God set up to provide peace and joy for her. This “leaning away” was a decision thus made by the deepest part of her in that moment. This decision, now working its way back, led to her mind rationalizing how good this choice to eat the fruit would be, her emotions already starting to feel a “high” at the delicious thought of biting into it and then being flooded with new wisdom and insights. From there, her “will” – the executive part of her mind and brain – directed her body to carry out the act of eating the fruit. Thus, information came in, was believed, and filtered down into her soul. The soul leaned in a new, different direction, which then percolated back up through her mind, emotions, and will, working out in her physical life the inner leaning of her soul. A little while later, Adam went through essentially the same process, the only differences being the serpent’s words came to him through Eve’s mouth, and the fact she had not died once she ate the forbidden fruit was, I’m sure, a boost to his confidence! Otherwise, it was exactly the same, with his soul’s change in leaning again being the critical driving force. I chose the story of the Garden of Eden and the fateful fruit choice because to me it illustrates and symbolizes perfectly the constant dilemma and choice that our souls face in life: whether to lean toward, and ultimately to “lean on”, our loving Creator, or to lean away from the Creator and toward our own self-directed motives, and thus choose to lean only on ourselves as we journey along through life. And so, if the views I’m presenting here are true, how does one get his or her soul to change the way it leans? I can tell you what I believe, though I freely and humbly admit that I am not as effective or as diligent with this as I wish to be. I believe the soul is most closely connected to the “heart”, which in my view is partly based in the body and partly based in the soul (so, part flesh and part spirit). The heart represents and contains the deepest yearnings we have. It is the part of us that contains our inner motives, as pertain to ourselves and others around us. It is the part of a person that, as Jesus taught, serves as the “root” of the tree that is our life, and will thus lead to our lives producing either good fruit or bad fruit. It is through the heart, I believe, that the soul can then be influenced to change its leaning. The heart can be “opened up”, or made willing, to receive influence from new, truthful information, in many cases coming from other persons whose own hearts and souls have opened and are now leaning toward healthy connections. By opening up, the yearnings of my heart can then change, from selfish motives to more selfless ones, as I seek after and discover these “truly true” insights in life. This then finally can lead to a directional change in my soul’s leaning, allowing me to connect with God and others in that deeper, beyond the physical, way that we discussed earlier. From here life can become more giving, less contentious, more joyful and contented. Unfortunately, this can also go in the reverse direction. When we begin to receive and then to believe and accept information that is false, but we (want to) think it is really true (i.e., delusion), this filters down into our hearts and then we tend to “close off” the heart to all other information which might contain real truth. This false information then reinforces more self-centered and selfish motives and intentions, and tends to then pull the soul away from life-giving sources and connections, and toward isolation. This eventually leads to a more insecure, more frustrated, more taking, less satisfying life. I certainly hope that with all the material above I have not been too confusing. I doubt I could explain my thinking any more clearly at this point in time, but I am still pondering these things and am sure this may evolve over time. – that the first direction I want to lean in is toward my Creator God, and from there toward others, seeking to connect with them and to give to them. These paths are the ones I hope to follow, the ones I hope we all can more diligently follow. Leaning, therefore, might not be a good thing for a bell tower, but is a very good thing for your soul, so long as your soul is leaning in the right direction! Peace to you. What is a belfry, anyway? Let’s consider a question: What is a belfry? By this I mean, what is the ‘essential nature’ of a bell tower? What is its essence? What is it that makes a belfry a belfry, and how is a belfry different from other tall or rooftop structures such as towers, domes, parapets, cupolas, etc.? The true nature of bell towers is, undoubtedly, a subject upon which many people spend hours and hours meditating, so this is likely not a novel question for you all. 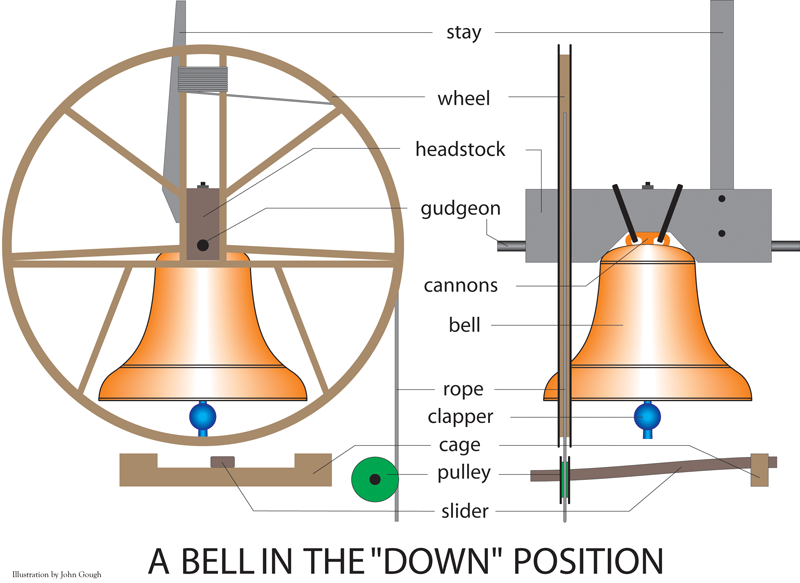 Of course, the obvious characteristic that sets belfries apart from other similar structures is the presence of a bell, as none of those other listed architectural features typically have bells hanging within. But is there more to the answer than simply the bell? As a shrink who likes to, from time to time, think of myself as dwelling within a belfry, how would I describe the nature of a belfry? First, I think of the walls of the belfry. A belfry cannot exist without walls … else there would be nothing to support the roof and rafters, from which to hang the bell! 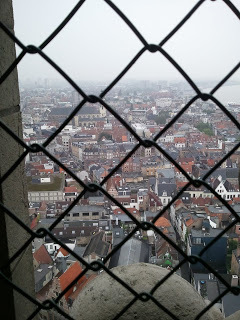 And all belfries’ walls must have openings, in the form of windows or louvered shutters, through which emanates the sound of the bells when they are being rung. Wouldn’t be worth much as a bell tower if you couldn’t hear the bells! The walls are placed atop either a tower or the roof of a building, usually a church, sometimes a municipal building or courthouse. A belfry therefore sits in an elevated position. 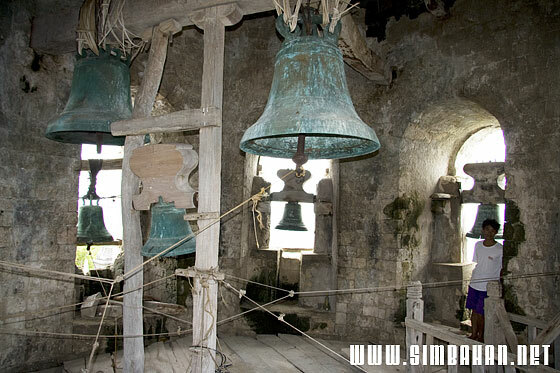 Then, obviously, I think of the roof of the bell tower, including its rafters, from which hangs the bell, or bells. 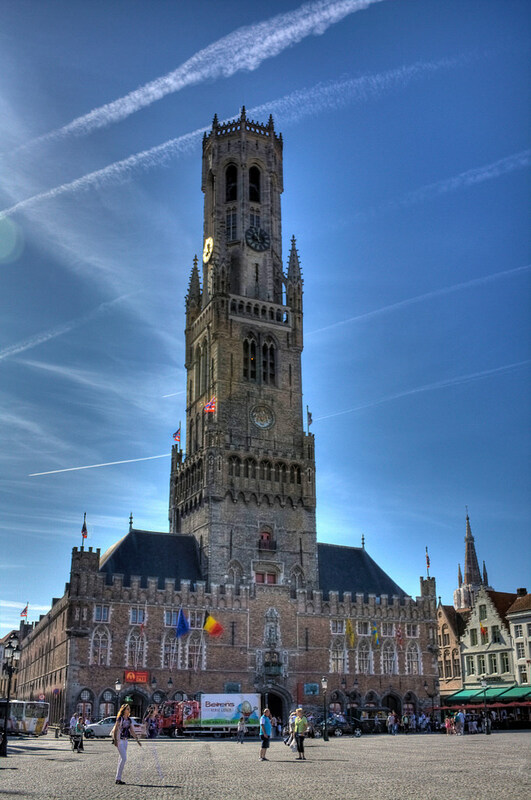 Most belfries would also have some kind of a floor, a set of stairs by which to access the tower, a rope with which to pull the bell(s) back and forth, and probably some bats hanging from the ceiling! Lewis’ premise is that we as human beings are first and foremost spiritual beings. That our true, original, core essence is “soul”, a spiritual entity, and that our bodies, along with our brains and our minds, are layers of “housing” that clothe our soul, and allow it to interact with the physical, visible world and the people and things in it. At first glance, I can’t say that I disagree with Lewis, but I can say that I don’t fully understand this idea, or know how to think about it in clear terms, let alone discuss it using our limited language. Of course, his thesis, and this entire discussion I’m about to enter into, are based entirely on a view of “truth” that is rooted in a belief, or faith, that there does exist a spiritual world which underlies our entire human experience. I am not intelligent enough to formulate a testable, scientific hypothesis regarding the existence of a spiritual realm. And if someone were to lay out such a(n) hypothesis, how could an experiment be designed to test it out? Lewis himself, in his book Mere Christianity, bypassed scientific experimentation, and instead appealed to logical and philosophical arguments for the existence of God and soul. He pointed out in significant detail how the basic moral value that all known races, tribes, and cultures seem to have in common – the seemingly innate belief that we must treat fellow humans and the world around us with care, respect, compassion, and fairness – proves that a single, common Mind must have designed and created it all; that such consistency running through all of human history, with all of the widespread migrations people have made, into every corner of the planet, through hundreds of generations, over thousands upon thousands of years, “proves” that all of us come from and possess the same “moral genetics”, rooted in and descended from that common Designer/Creator Mind. And since we have yet to locate that Creator anywhere in the physical universe, it must be of a “spiritual” domain that remains invisible and intangible to our biological senses. In contrast to that line of thought, there is a view of life based on the notion that all there is, both within ourselves and “out there”, is the physical, tangible, measureable world. Other than conceptual notions such as emotions or dreams or values or thoughts, nothing exists unless it can be touched, seen, weighed, or measured. All that is came into being in unknown ways, through random events over billions of uncountable years, for no real purpose, and will continue evolving, or devolving, as we all hurtle through space until some unforeseen and “random” event leads to the destruction of our sun or our planet … who knows? The only important value in this view of life then becomes the need to ensure our species’, or our nation’s, or our race’s, or our family’s, or our own individual, survival. Everything else becomes subservient to that value. However, this belief system (and yes, it is as much a matter of belief, or faith, as the view espoused by Lewis) cannot explain the remarkable consistency of moral values across almost all known cultures down through human history. Even within violent and warlike tribes and cultural groups, the rule of being good to one another is central and maintained, and acts of unfairness frowned upon or sanctioned. When those, often referred to as “humanists”, who hold this view try to explain the central moral value noted above – the rule of fairness and kindness (or, “justice and mercy”, as the book of Micah calls it), they do so in some variation of the following: humans adopted this value because they learned that looking after one another and treating each other well helped to keep families, nomadic groups, or villages bonded together, and thus this value was maintained solely as a means of protecting the species. That sounds well and good on the surface, but this kind of world/life-view also possesses a central contradiction: that is, when it becomes necessary to aggress against other humans in order for me or my group to survive, then it’s ok to set aside this basic value. Huh?!!? That doesn’t sound either moral or consistent to me. To illustrate, if we consider the extreme atheistic beliefs undergirding the Marxist views of Stalin, Pol Pot, or Mao, among other genocidal autocrats, we see that such a reductionist view of life cannot help but to violate that consistent moral value of thousands of years of human life to which Lewis refers. Such a view sees the killing of millions of humans as not only acceptable to them, but as necessary to help humans “move forward”. It makes some humans more necessary than many, many others, and those less necessary as thus expendable. This is terrible, ridiculous, and universally seen as evil (that is, in “violent violation” of all commonly held rules of decency) by anyone and everyone else, whether ‘theistic’, ‘atheistic’, or ‘agnostic’, even by those within those tyrants’ own cultural groups, even their own families. Not only this, but as Lewis points out, those who study child development often comment on the fact that infants and toddlers, long before they could have “absorbed” the concept of fairness from their parents, seem to innately practice it, as well as expect it in return. Little children are often noted to protest unfairness in interactions with peers before they can even speak. How did we learn this notion at such a very young age, unless it were “wired-in” from conception? Once again, therefore, the two ways to explain this consistency and primacy of central moral rule are either: 1) A Creator Being brought all of our universe and our species into existence, and implanted within all of us a central moral genetic code which, when we are in selfish and self-centered mode we can choose to violate, but it still calls out to us (our “conscience”) from within; or, 2) Humans adopted this moral value as a means of survival, but will always set it aside when the TRUE central value – assuring my own survival and that of the few others I may care about – becomes threatened! Which of course, renders it as not a moral value at all! Merely window-dressing. I believe it’s clear which view best accounts for the sociological and anthropological facts as we know them: View #1. I’m certain that I have not done justice to Lewis’ arguments, but they are compelling nonetheless. I commend them to you, if you can locate the book referenced. Now, with all of that said, if you are willing to describe yourself as standing in the circle of folk who believe that there is a spiritual Creator Being who planned all that exists beforehand, and brought it all, directly and indirectly, into existence, then I invite you to look with me more deeply at the Lewis quote. If we then accept that we are, in fact, as human beings at least partly spiritual beings, what if the real and true core of us IS that spiritual part? What if Lewis is correct that we are really “SOUL”, and all the rest is or might be only temporary “machinery” for that soul to use? Would this change your thinking about yourself, if you accepted this idea? I think it is changing mine, though I’m still in the infancy stages, as I said above, of understanding it, or knowing what it means. Next time, we’ll talk more about what this thing called a soul might be, and how it might, or even should, change how we view our lives.